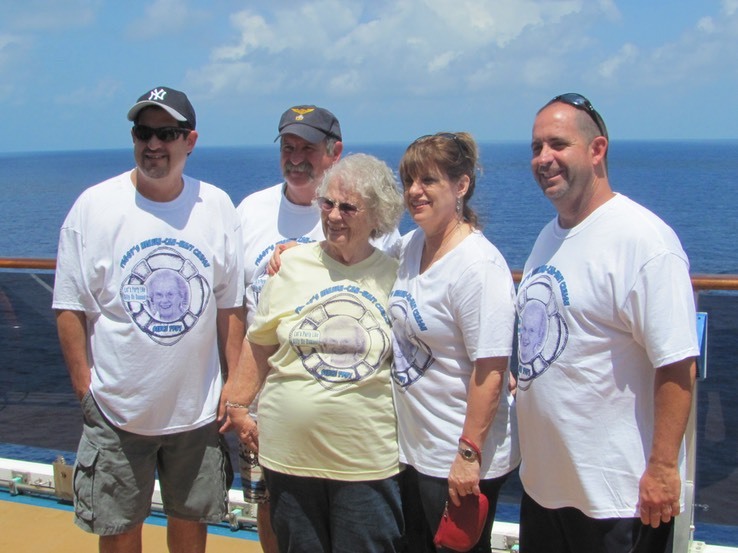 We took this seven day cruise on the Carnival Legend to honor the 80th birthday of a dear friend, Peggy Cataldi. 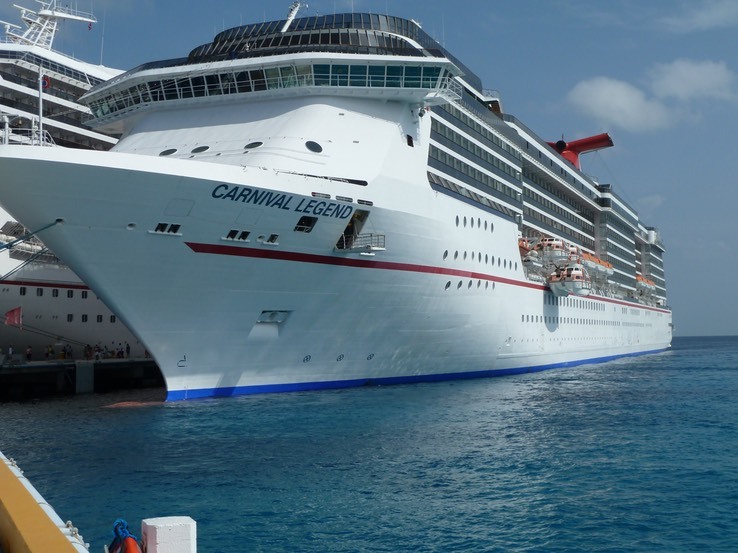 After traveling so much on Holland America, we weren’t quite sure what to expect from Carnival Cruise Lines. We drove from the North Carolina Outer Banks to Tampa, and from the time we reached the dock our experience was good. The luggage drop-off was a very efficient, well-run process. When we got to the parking garage, our attendant was very friendly and helpful. But that was just the beginning. After we went through security, we encountered friendly staff that turned out to be from Holland America Line. When they saw our hats and found out we had gotten married as a result of the 2008 world cruise, the lady who was doing the executive check-in wanted to meet us and checked us in. We had red carpet treatment throughout the check-in process, and didn’t have to wait in any lines! Could there be a better start to a cruise on an unfamiliar line? We don’t think so. Once on board we found lunch and started meeting both passengers and crew. The ship is decorated very intensely; it is way too busy visually for our tastes. But it is a nice ship, well run, well maintained, and the crew is great. The crew comes from many countries: so far we’ve met some from Indonesia and the Philippines; also Thailand, South Africa, Swaziland, Trinidad, India and Moldova. At dinner our group is large enough that we have three tables, plus one table at the late seating dinner. We did not go to the welcome show, since it was scheduled for 10:30 PM, a bit late for us. However, we did spend time walking on deck, photographing a beautiful sunset, and getting to know the layout of the ship. Day 1 was very full and pleasant. It feels wonderful to be back on the water. Day 2 was spent at sea. Our major daytime activity was trying to get a group photo taken. One of the ship’s photographers took official photos. We got some unofficial ones. Below is a picture of Peggy (yellow T-shirt) and Jimmy, John, Marie and Michael Cataldi (from left to right). The T’s have Peggy’s picture on the front and a big number 80 on the back.